Birgitte Lund, born in Denmark in 1959. She studied Textile Painting and Printmaking at the School of Design of The Royal Danish Academy of Fine Arts (KADK) from 1979 to 1984 and Copperprint at the Niels Borch Jensen Workshop from 1995 to 1997, both in Copenhagen. She is a member of the Danish Visual Artists Association (BKF), and she has worked as an art school teacher at the National Gallery of Denmark since 2010. Since 1984 Birgitte Lunds work has evolved around abstract, concrete painting, with emphasies on texture and colour. 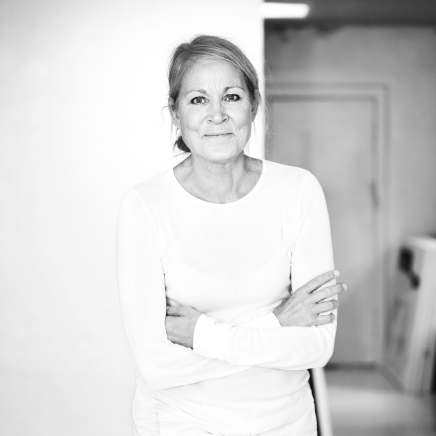 Birgitte Lund has taken part in curated exhibitions in Denmark and in Scandinavia. She has exhibited her work in art galleries in Denmark, Norway, France, Germany and the in the US. Her artwork is in private and corporate collections worldwide. Birgitte Lund lives and works in Copenhagen.